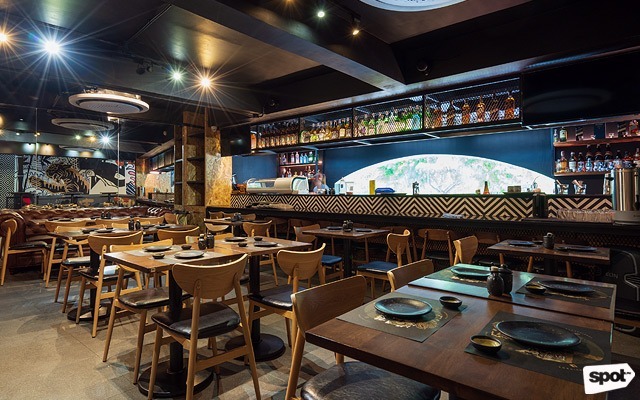 Soru Izakaya presents a feast for the eyes and belly. 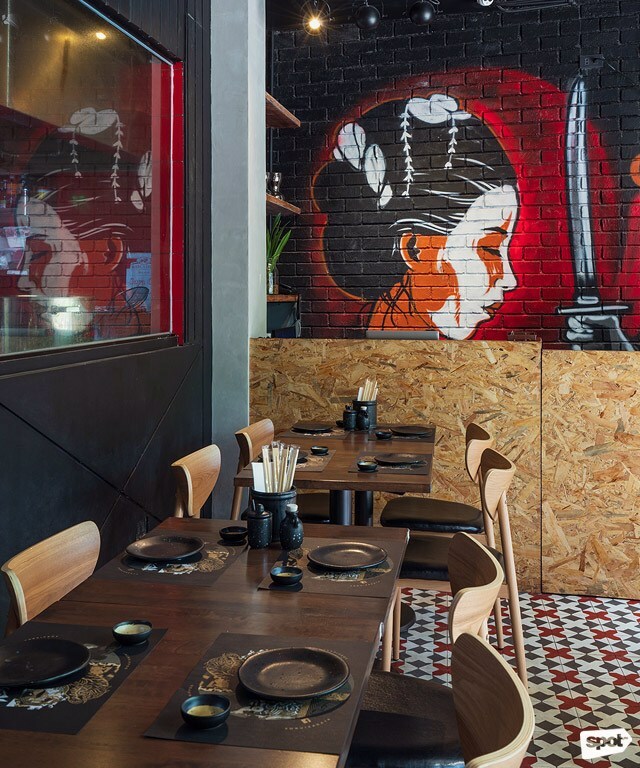 (SPOT.ph) After Soru Izakaya opened in Maginhawa, Quezon City, it quickly became apparent that they were a departure from your typical Japanese restaurant. 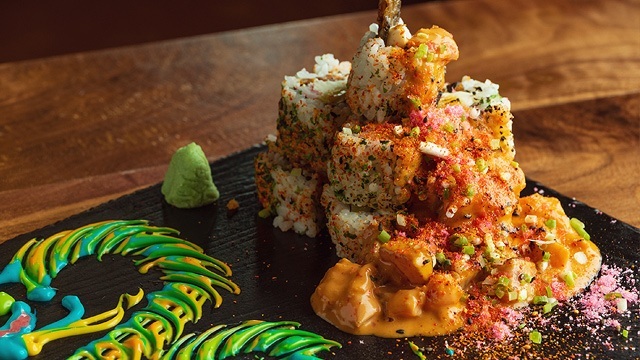 In a time where people not only appreciate food by how they taste but also by how they look, Soru Izakaya exceeds expectations with sushi plates that come out of the kitchen looking like art. 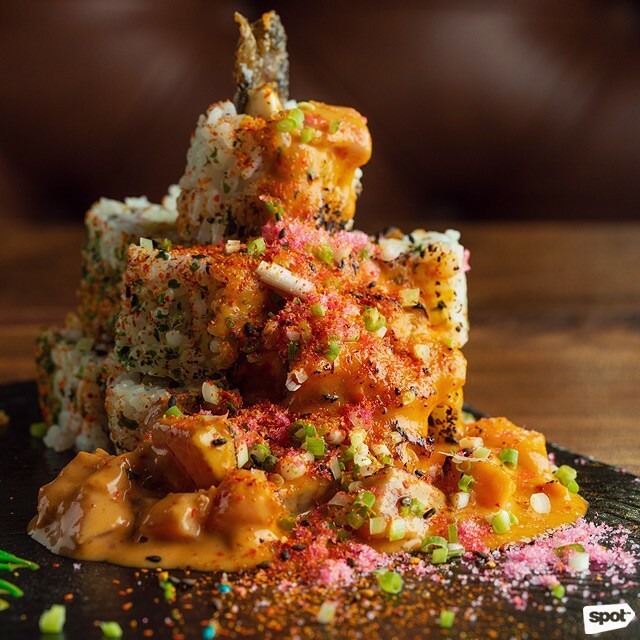 For folks who find QC a bit of a drive, first of all: Their sushi and creative takes on other Japanese staples are worth it. 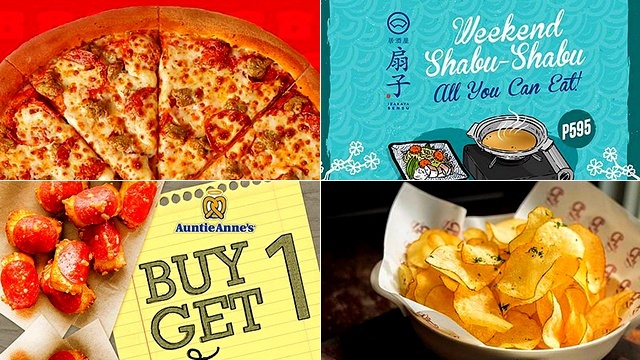 And secondly, you might not even have to make that trip anymore, because they’ve opened a second branch at Burgos Circle. 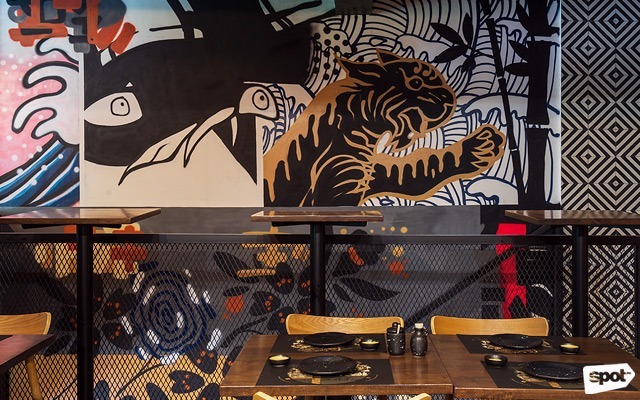 Color isn’t restricted to their food; their new space in Bonifacio Global City comes alive with eye-catching murals in vivid colors, with Japanese iconography like tigers, koi, and geishas done pop-art style. Even the floor is done in geometric patterns, which might just convince you to take a shoefie no matter how overdone you think it might be. 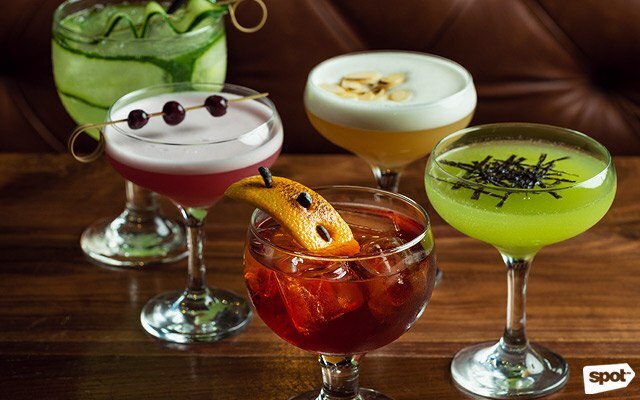 Anyone who’s been to Soru’s first branch can expect the same gorgeous creations. For those who are new, their maki and sushi are literal works of art that are sure to elicit a few appreciative gasps. 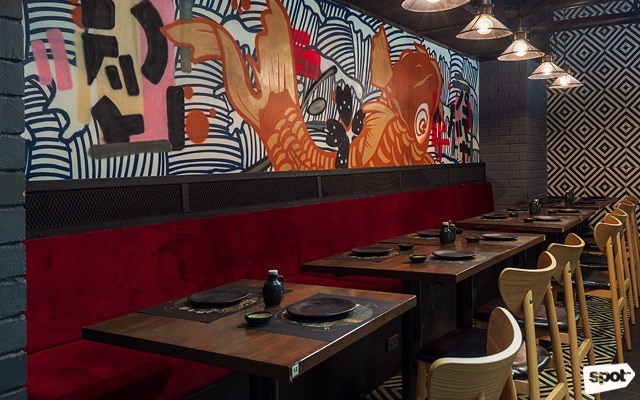 Take a seat by the bar to get a glimpse of the action, as their well-trained staff (or should we say, sushi artists), use different colors of Japanese mayonnaise to create intricate designs, from swirls and clouds down to dragons. 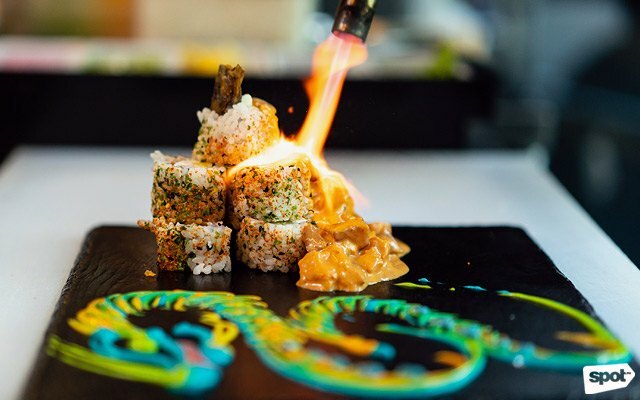 Paired with the aforementioned dragon is the Lava Maki (P380), called as such because this pile of sushi has fresh salmon and tuna cubes coated in a spicy mayo and teriyaki blend running down its sides, like lava. This one has lots of fire, too, and crunch from the rolls stuffed with tamago and crispy salmon skin. 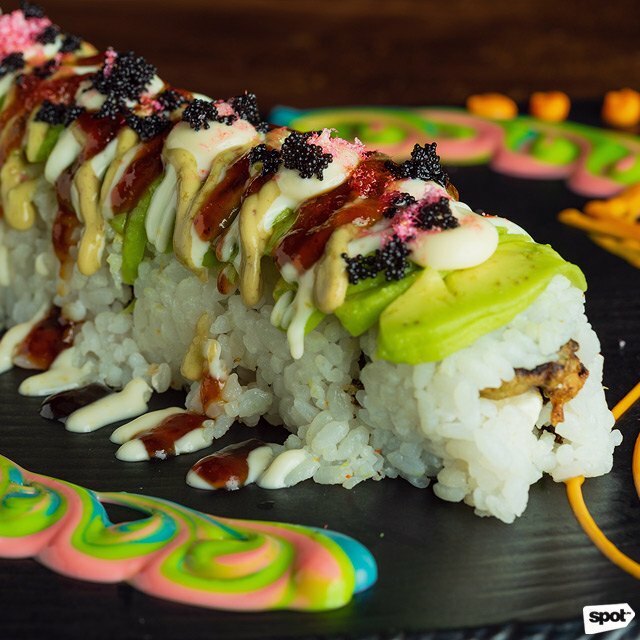 The Avocado Maki (P480) comes on a plate decorated with pastel swirls that are soothing to the eyes, a perfect fit for a roll as fresh as this. Soru adds a twist to the usual unagi sushi stuffing by deep-frying it tempura style, giving the velvety eel a nice crispness. Paired with cream cheese, mangoes, and avocado, this maki is the right fit for those who love a sweet-savory flavor profile. 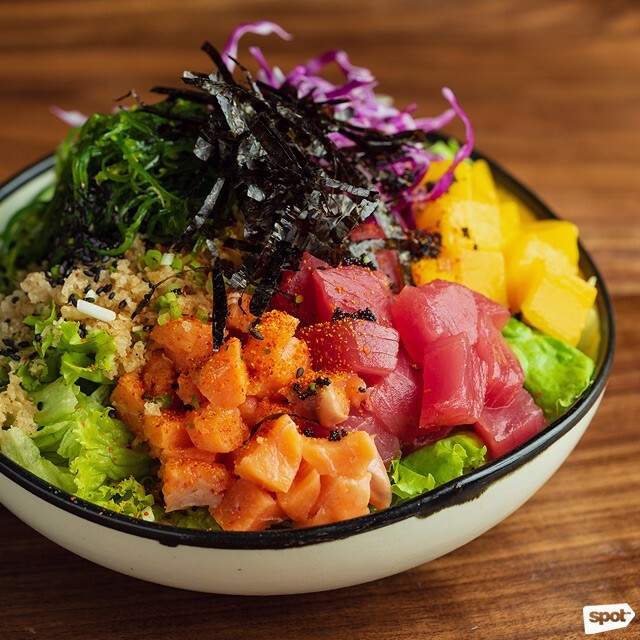 While not as impressive as the sushi in terms of looks—though we have to clarify that’s only because Japanese-mayo artwork is pretty hard to beat—the Poke Bowl (P290) is still a vibrant bowl of goodness. An order, overflowing with fresh tuna and salmon cubes plus cucumber, mangoes, onions, and lettuce, is more than enough for a filling meal. A Sriracha-and-mango dressing gives this salad a fruity tang with a spicy kick that makes it irresistible until the last forkful. 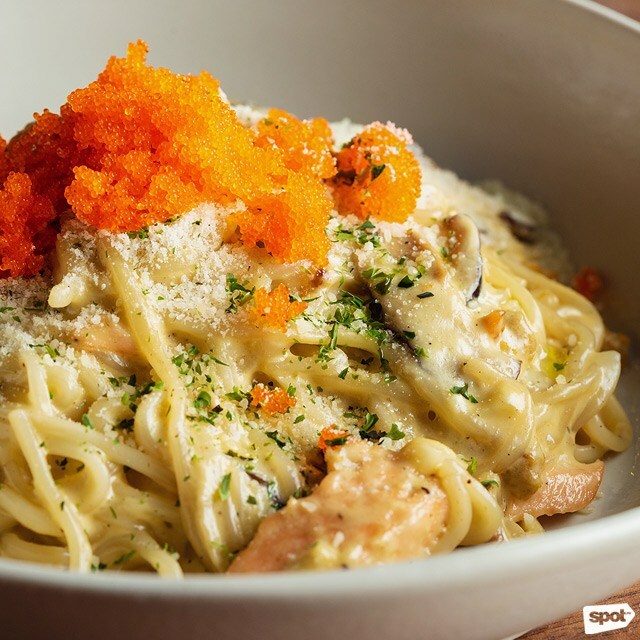 The Udon Carbonara (P320) is an East-Meets-West creation that might raise a few eyebrows. But Soru has always been about proving they aren’t your usual, and this dish drives the point further in the tastiest way possible. 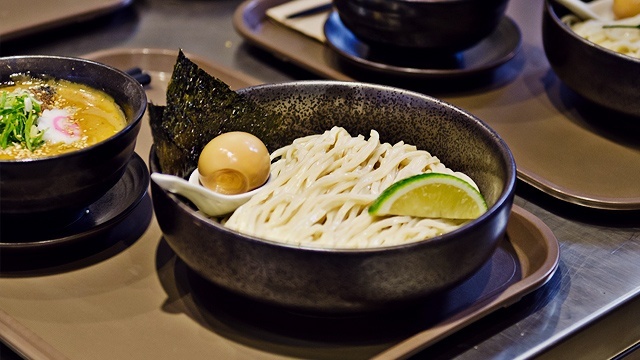 Udon has the right chewiness to stand out against the luxurious creaminess of the wasabi cream sauce, made even richer by generous gratings of Parmesan. Throw in salmon, uni, and shitake mushrooms, and this dish just screams umami all throughout. 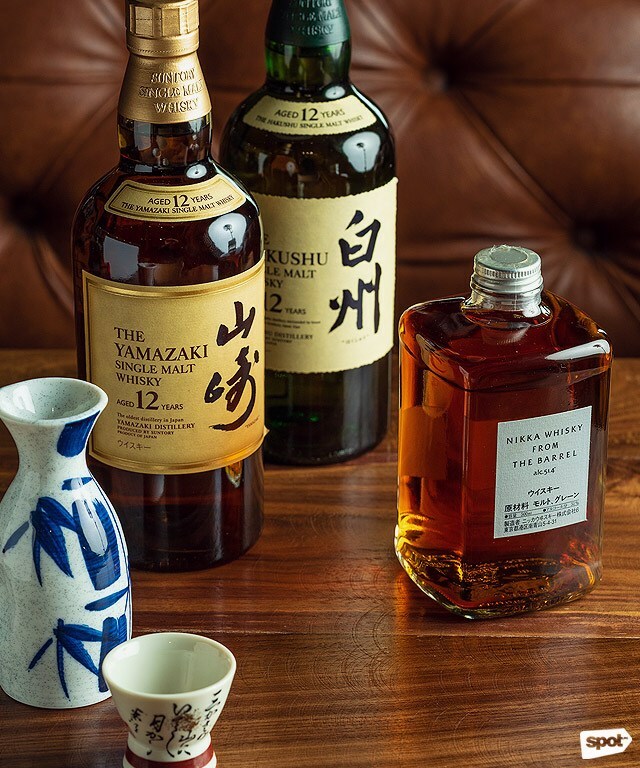 Of course, no izakaya is complete without well-crafted cocktails. The Hentosen (P200), with almonds, lemon, amaretto, and tequila, is a sweet and smooth concoction that packs quite the punch, though if you’re feeling adventurous, the Wasabi Kamikazee (P260), with vodka, lime, apple, wasabi, and nori should do the trick. 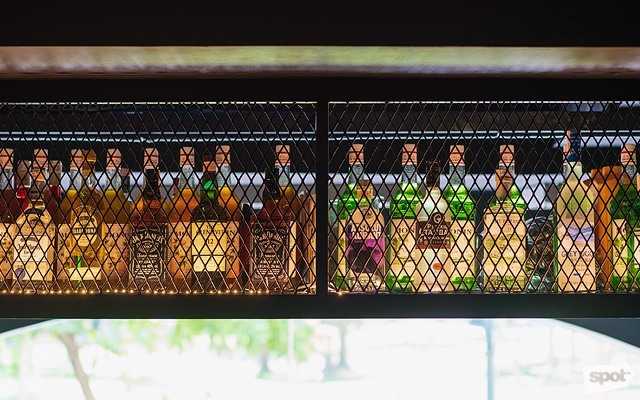 It’s the apt choice at a restaurant not afraid of making risky choices, to memorably delicious results.